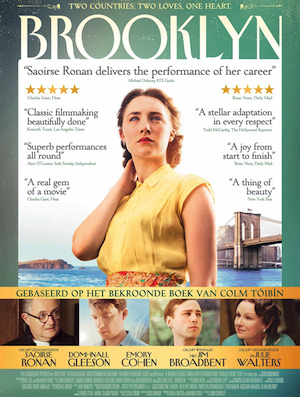 Nominated for three Oscars and scripted by Nick Hornby from Colm Toibin’s celebrated novel, BROOKLYN (12A) tells the moving story of Eilis Lacey (Saoirse Ronan), a young Irish immigrant navigating her way through 1950s Brooklyn. Lured by the promise of America, Eilis departs Ireland and the comfort of her mother’s home for the shores of New York City. Homesickness quickly diminishes as a fresh romance blossoms, but soon Eilis must choose between two countries and the lives that exist on either side of the Atlantic. It’s a brilliantly told story of heart warming (and heart wrenching) drama, and Saoirse Ronan’s Oscar-nominated performance is truly beguiling.